Prof Lees-Maffei has demonstrated a sustained interest in issues of global economy and, specifically, consumption, creative and digital economy, and globalisations within that theme. The design industry is a significant part of the creative economy internationally. Lees-Maffei’s analysis of Italian design (see, for example, ‘Italianità and Internationalism: the Design, Production and Marketing of Alessi, s.p.a.’ and Made in Italy: Rethinking a Century of Italian Design) examined the complex provenance of Italian design. Italy attracts design talent from around the world and Italian design is enthusiastically consumed globally. Made in Italy showcases the work of authors from Italy, the US, Belgium, Norway and the UK, including Hertfordshire’s Professor Jonathan Morris. A reviewer for the Journal of Modern Italian Studies praised the book for ‘a fresh historiographical perspective’ which ‘expands the traditional national, historical and sectorial boundaries of Italian design’ while the Journal of Design History acknowledged the book’s originality. 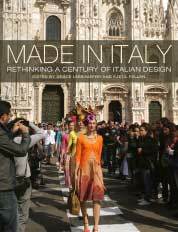 Lees-Maffei’s work on Italian design involved reflecting on the place of national studies of design in the global economy, which led to a second co-edited with Prof Kjetil Fallan (University of Oslo), Designing Worlds: National Design Histories in an Age of Globalization (Berghahn 2016). Here, the methodological issues attendant upon globalizing understanding of design and its histories are examined by a group of authors from all five continents. Another of Lees-Maffei’s research projects, ‘Designing Domesticity’, models a transatlantic ‘domestic dialogue’ between the UK and the USA, and calls for more transnational and comparative work in the histories of design and culture. In terms of consumption, her Designing Domesticity project argued for domestic practice as a form of amateur design understood as encompassing production, consumption and mediation while her highly influential article ‘The Production-Consumption-Mediation Paradigm models the development of design history as based on successive, and overlapping, production, consumption and mediation turns. As a design historian, Prof Lees-Maffei’s research has explored the significance of design and material culture as part of cultural history and heritage. Lees-Maffei has contributed to work on food cultures an analysis of home entertaining (how people eat with friends at home), in addition to her work on the international influence of Italian lifestyles and the design of cooking and eating equipment. This work also contributes to the understanding of global economy and consumption. Her major Designing Domesticity project contributes an original and highly innovative interdisciplinary method for the use of didactic discourses (advice books) in the writing of design and cultural history, modelling an approach based on close reading of domestic advice books as para-literature. It also features in an AHRC Image Gallery. A keystone output of this project is the research monograph Design at Home: Domestic Advice Books in Britain and the USA since 1945 (Routledge, New Directions in Cultural History). This book contributes to knowledge and understanding of lifecourse and lifestyle an analysis of domestic advice literature according to the lifecourse and as a mediating channel of lifestyles. It exemplifies Lees-Maffei’s examination of text, narrative and image, represented also by her book Writing Design: Words and Objects which explores the translation of design into words and vice versa and by her work as Research Group Leader for the TVAD Research Group.